In this post I will detail how much money we have saved (that is, not-spent) by making simple, painless changes in our life. We really haven’t given up anything by making these choices, although sometimes the workarounds can get a bit creative! I’ve ranked our choices from most money saved per year to least. our current townhouse when we moved in – what to do with this space? Two years ago, Kyle and I were living in a luxury apartment and we really loved it. However, we did not love when our complex decided to increase our rent by $60/month (the previous rent increase had been $5/month). Kyle tried to negotiate with them, but they didn’t budge. So we moved! 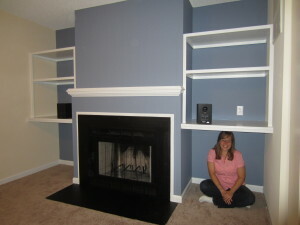 We moved to a townhouse of the same size that was much closer to school and church and reduced our rent by $110/month. 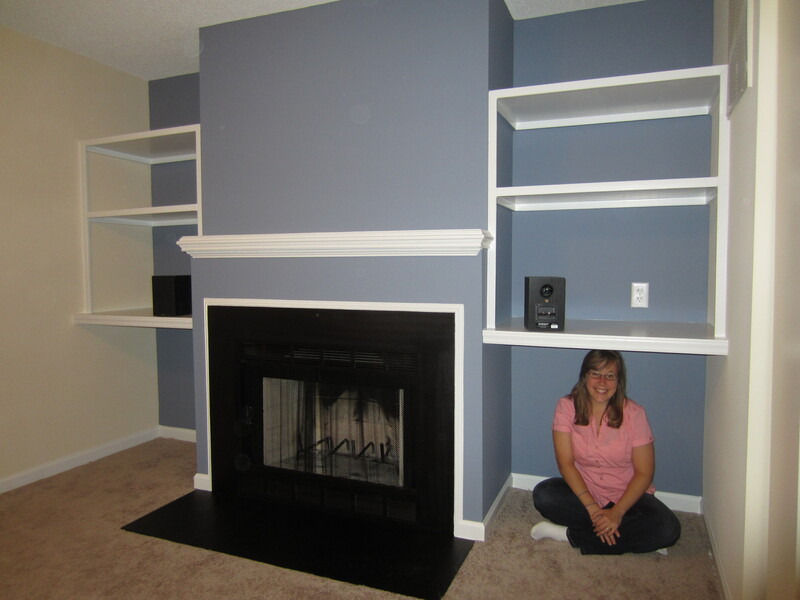 A few months ago, we moved again and reduced our rent by an additional $25/month. Had we not moved, in the last 17 months we would have paid $18,105 in rent. Instead, we have paid $15,090 in rent and $853.85 to move twice (I have documented the costs of the first move and the second move). That’s a savings of $2,161.15! I should emphasize that we still have approximately the same size home – we went from a 2 BR/2BA apartment to a 2 BR/2.5 BA townhouse. The only thing we gave up was having a small gym and pool available to us in our complex (but we have that at school anyway). Cable is so egregiously expensive that I never really paid for it. Kyle had it before we were married, but within a few months after I moved in we decided there just wasn’t room for it in our new joint budget. We canceled our cable in October 2010 and have never looked back. The biggest unknown was how we would continue to watch sports (our university’s men’s basketball team, chiefly, but also pro football and basketball, tennis, and special events like the Olympics), but we found several workarounds that I assure you are worth the mega savings. Now we watch all the TV we want for free. Just before we canceled, we were paying $135.67 for cable and internet. When we went down to just internet, the price dropped to $57.95, and through two moves and buying a modem, we now pay $34.99. Had we never canceled, in the last 41 months we would have paid $5,562.47 for cable and internet. Instead, we have actually paid $2,017.61. That’s a savings of $3,544.86. Our savings per year (comparing our former cable+internet rate to our current internet-only rate): $1,208.16. Before Kyle and I were married, I had one credit card but I very rarely used it to make purchases (I was a bit scared of credit cards). Kyle had one gas rewards credit card that he used for everything. At first, I had to get on board with putting all of our possible spending on credit cards, which wasn’t too difficult because we always pay our credit cards off in full in the month we spend the money. When the rewards on the gas card were downgraded, we started exploring which other cash back credit cards would fit our lifestyle long-term. We eventually added a few more cards to the mix, keeping one base card and signing up for some others for special kinds of spending and once for a free Kindle. We even asked ourselves how many cards would be too many because we loved further optimizing our rewards. We are still debating adding a few more cards for long-term rewards potential, but the high sign-up bonuses on some travel credit cards have caught our eye. We recently churned two Barclaycard Arrival™ World MasterCard® – Earn 2x on All Purchases (that’s an affiliate link; please read my review), netting us over $850 in bonuses (so far). But we are trying to keep from fully buying into the credit card hype. We are careful that we use our cashback rewards only toward spending we would have done anyway, which means that they effectively go straight into our short-term targeted savings accounts. For that reason I consider these rewards savings. I’m not sure how much Kyle built up in rewards with his BP card, so I’ll compare against my $0 in rewards for my first three years after college. In contrast, in the past year we’ve redeemed $566.18 in rewards, and we have on deck the $425 sign-up bonus from our second Barclaycard ready to redeem as soon as we make another travel purchase. I don’t know if we’ll be able to repeat this every year, but it’s true for this past one. Our savings per year (over our previous system): $991.18. Calculating the money we’ve saved by going from two cars to one is a little trickier than the other categories. When we were first making the decision, we estimated we would spend $972.03 less over the course of a year by driving only one car, based on reduced gas usage, no need for insurance on the second car, not registering/inspecting/paying tax on the car, and buying only one parking permit. I still think that is a good way to calculate our savings. The repairs we had to make on the car we benched are still pending, so I don’t want to add in any no-repairs savings at the moment, although of course there would be some wear on the car if we were driving it. We’ve even seen some benefits to our relationship from sharing one car. Our savings per year (estimated): $972.03. In 2012, I was paying $35/month for a dumbphone with limits on talk and text I never reached. Now I’m paying $26.30/month for a smartphone with unlimited talk/text/data with Republic Wireless. How much money have we saved since switching? The out-of-pocket costs to us have been over the past 15 months $522.09. Nearly all of of that is the two smartphones I’ve bought for the service (the Defy XT and now the Moto X) since most of my monthly payments have been covered by referral credits from other people using my link to sign up for Republic Wireless. If I had stuck with my dumbphone, I would have paid $525 through that time, believe it or not. Obviously, I would have paid more for way less capability, and over time the Republic Wireless gets ever cheaper because I won’t upgrade my hardware again for at least two years (I swear, this time!). But that’s not really a good side-by-side comparison. A better one is to compare what we pay for Kyle’s smartphone with what I pay for mine. Kyle doesn’t have unlimited talk or data, but he does have a big enough data plan that he never reaches his limit. He texts through Google Voice so he doesn’t have to pay for texting as a part of his plan. He is in a two-year contract with Verizon Wireless (which we don’t like), in comparison with my contract-free plan. However, his phone is with Verizon, which has slightly better coverage than Sprint in our area. Kyle’s plan is $69.70/month after applying a discount from our workplace. Again, I’m paying only $26.30/month with Republic Wireless. He paid $246.08 for his iPhone 5 last fall, and we just paid $299 for the Moto X (not counting referral credits) but will receive a $100 gift card rebate. Republic Wireless offers plans ranging from $5 to $40 per month. If you use the banner below to sign up, we will get a small commission. Thanks for supporting EPF! I know most of you are thinking “I could never do that!” about one or more of the ideas on this list. Don’t sell yourself short! We had trepidations about every item on this list before we actually tried them out and they’ve all worked out swimmingly. Except for moving, all of these changes are easily reversible, so if you try it out and it doesn’t work, you can rapidly return to what you were doing before. I encourage you to consider making a big change to your lifestyle this year that will increase your net worth, either by painlessly cutting an expense like we have or by earning more money. What big change have you made that helped you not-spend a lot of money? Have you ever done anything on this list and how much money did it save you? Do You Buy, Lease, or Get Free Entertainment? 39 Responses to "Our Best (Pain-Free) Money-Saving Moves"
Ashley recently posted..Why Not Me? We live in such a small city that proximity doesn’t correlate with price very well (except walking vs. driving), plus our university is not in the most downtown area. It think the price drop was mostly going from an apartment to a townhouse and getting away from that “luxury” brand. Yeah, the RW switch has been a great one for us. I really believe in the company and I love that I can recommend them to others! Our goal is to eventually get to a situation where we can get through 2 full-time careers with only 1 car. Of course, it seems like there are only a few cities in the US where that can be possible (NYC, DC, SF) unless we get really lucky with work situations. Well, I think a lot will change with work and transportation over the next 10 years – more teleworking, less individual car ownership. I would love to keep up the one-car thing as well but as you said right now there are only a few cities where that is easy. First of all, grad student to grad student, huge kudos to you for maximizing your budget and taking advantage of the many benefits of being in college (constantly surrounded by wifi, using university VPN for espn3, etc.). I do much of the same. Now that I’m graduating in May and making my first “real life” budget, I unfortunately see many of those costs going up in my near future. 🙁 My workplace will not have wifi, so I’m hesitant to switch to Republic. I also won’t have access to school VPN nor does my conscience say it’s alright to keep using my parents’ log in for ESPN3 once I’m earning a real salary. What thoughts have you given to impending lifestyle inflation? I’ve thought about how being a student actually increases your standard of living quite a bit without adding much cost. It will be a blow to lose some of those benefits. However, I think lifestyle increase is natural and desirable when you move from being a student to a wage-earner. I use the word “increase” instead of “inflation” because I want the lifestyle increases that we take on to be deliberate. “Inflation” to me connotes mindlessness and even something that happens below your level of consciousness. Part of my plan for this transition is this blog, honestly. I want it to be accountability for us, in addition to our tracking. But it really just depends on what your goals are. We don’t have early retirement as a goal so we don’t want to not-spend every cent once we have real jobs, just be balanced and responsible. We’re a one car family as well. I think we’ll try to stay that way as long as possible. Thankfully it’s pretty easy at the moment because my fiance works from home, so we don’t have to worry about two commutes in opposite direction. When we moved last year, we ended up downsizing a bit – but honestly, it wasn’t too bad. We lost the basement, an office (but our second bedroom is gigantic here so it’s dual-purposed) and a half-bath. But we also save over $600 per month. Granted, that was partly due to changing towns, but it’s also because of us not going for the newest places (which would have saved us $200 per month – not as great!). We also don’t have cable. I don’t really miss it, but I’m hoping it works out alright with The Olympics. I’m an Olympics freak, and I had cable up until London 2012… so this will be my first Olympics of using only being able to watch online. I hope it goes okay. Alicia recently posted..Yakezie Challenge: Two Months Later. That’s awesome that he works from home. But does that mean he’s stranded all day? Or does he drop you off sometimes? Wow, $600 per month is a big drop! And it sounds like you didn’t really need the extra space. We definitely don’t need all the space we have now, but it’s normal for our city. Good luck finding the free/sponsored online content! I’m sure plenty of programming will be over the air as well. We haven’t looked into it yet as we’re not into the winter sports. Well, he is sometimes “stranded” but honestly, we live within a 5 minute walk of anything he might need (we are right downtown). He does drop me off if he has an appointment or something, but 90% of the time I take the car. Yeah, that’s not very stranded! Kyle would be stranded at our place if I had the car, though I’m more willing to walk or take the bus. I earned about $250 in credit card rewards last year and I estimate that it will be closer to $1,000 this year with sign-up bonuses and having the Fidelity Amex all year. I basically earn a minimum of 2% back on everything, which is pretty sweet! I send those rewards directly to the mortgage! Switching to Ting has been a huge savings for me! My bill has been around $20/month and I have so many referral credits I’m not sure I’ll ever pay a bill! Programming my thermostats and a few other minor tweaks with the electricity has dropped my summer bill from $60 to $30 and possibly halved my winter bill as well – I’m still waiting to see what January looks like this year after last year’s $240. My boyfriend and I have been meal planning and almost entirely curbed eating out. It’s been pretty fun too! Oh and I saved $500 on my insurance policies by switching insurance companies after I turned 25. That was pretty cool – I hardly had to do anything. I also did really well with lowering my clothing budget last year – the only shoes I bought were a pair of replacement running shoes and I’ve decided that that’s an annual need. We’re still considering that Fidelity Amex… Not sure why we haven’t signed up yet! We’re done with the two Barclaycards now. Have most of your referral credits come through your blog or IRL connections? We are so lazy about the temp in our home. We OWN a programmable thermostat but have never installed it with all the moving. Insurance switching is a great point. We’ve been with the same company for a few years now but I’ve checked a couple times to make sure the rate is still the lowest. I think we might drop part of our coverage, though, since our car is getting older and we have some savings if we needed to replace it. I should research that more. Oh I haven’t gotten any credits from IRL. Most of my friends use too much data for Ting to be worthwhile over T-Mobile’s prepaid plans. I wouldn’t mind switching to the Fidelity Amex as our base card, keeping the Chase Freedom for the 5% categories, and going after sign-up bonuses with low minimum spends. I love how dropping cable saved you more than the apartment: that really puts things in perspective. We currently pay about $38 for television and internet ($75 split with the renter). I figure we could knock that down to maybe $20 if we just paid for internet and “un-bundled”. Do you think it’s worth the savings? I really enjoy having the television around but, you know, that’s still $240 a year extra. Done by Forty recently posted..Did Americans Really Overpay by $1B at Tax Time? Yeah, per month the move was more effective but we canceled the cable 2 years before moving so it added up for longer! That is a pretty low rate on cable so it’s not crazy to keep paying it if you think you’re getting value. One thing that happened when we canceled was that we stopped sitting in front of ridiculous TV shows that we didn’t care about for hours on end (at least now we choose those shows through Netflix! ), so that was a non-monetary benefit. I’d say if you have a really good argument as to why you’d need it, you should keep it… but cancel if you don’t. Or you could try canceling in an off-season if there aren’t huge fees and you may never add it back (not sure how that would go over with your renter). Also ask yourself what you would do with that time – would you pay for other forms of entertainment? would you get more work done? do you have access to good free entertainment? My husband and I live in our apartment to save money period. We’re not in a trendy neighborhood. We don’t have cute restaurants and bars in walking distance (bus distance, sure). But we know paying $1,350/month for a small two bedroom vs. paying $1,600 a month for small one-bedroom in a cute neighborhood is significant savings that really add up. We could probably get even cheaper rent further out in East Brooklyn, but we’re in a rent-stabilized place and my commute time is short to my work so the $100 extra I pay in rent is worth the time savings. Sounds like you’ve found a balance between what you are willing to forgo and what you aren’t! That’s the sweet spot. We decided we didn’t want to downsize to a 1BR, either, even though there would have been significant rent savings. 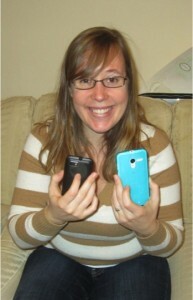 Wow – $26.30/month for a brand-new smartphone with unlimited talk/text/data is a very good choice! I already cut off my cable subscription and also our telephone land line because we only used it rarely. To be fair, the $25/mo is for the service, and I paid separately for the smartphone. But it’s still less expensive than my dumbphone. 🙂 Great job on cutting out non-valuable services! I just made the switch from Verizon to RW this month. I was paying $92 so that’s a pretty big difference! I also switched jobs to work 5 minutes away from our apartment. It’s saving me in gas and food, as I come home on my lunch, so I can’t really justify ordering in. Wow, great progress on cutting expenses this month! Way to set up those systems that will keep you from mindless spending. I hope you enjoy RW! The only thing we would have real difficulty with would be to go to one car. We try to carpool when we can, and drive our Prius most of the time, but there are times when I need to be at one place, and my wife and son need to be at another that are on opposite sides of the city. And public transportation is just too slow. I took it once to work (13 miles one way) and it took more than 2 hours to get there. Lots of other great tips though, with your money saving data to back them up. It’s probably a lot harder with a kid! I used to be a megacommuter and I ended up moving because it was unsustainable (though low-stress) so I get that you don’t want to waste 1/6 of your day commuting! I would love to get down to one car at some point, maybe trade in our current cars towards a hybrid… but our work schedules have always been too different for it to work logistically. It might be possible if we had a reasonably reliable form of public transportation in our area, but sadly, we don’t. That we work at the same place was really the key in us going down to one car. Really, the only reason we had two to begin with was that when we moved to this area we were still dating – if we had already been married I bet I never would have bought my car. We did need to shift our preferred work schedules by a couple hours, but that wasn’t too difficult as we don’t have fixed hours. The public transit here isn’t great but it is enough as a backup plan.